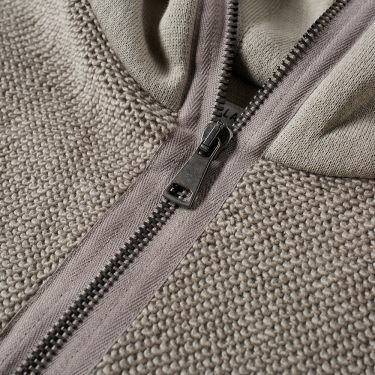 The cult figure of 90’s minimalism, Helmut Lang pioneered a new design language that we still see influencing us today. 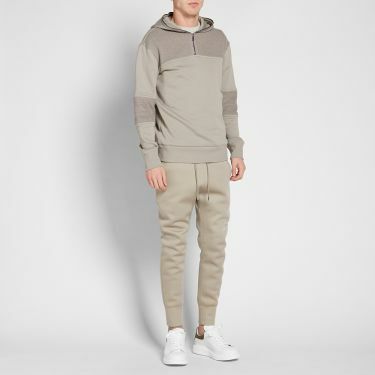 Utilising clean lines carefully cut in high-tech fabrics, Lang created de-constructed looks that were effortlessly cool in a colour palette of neutrals and earth tones. 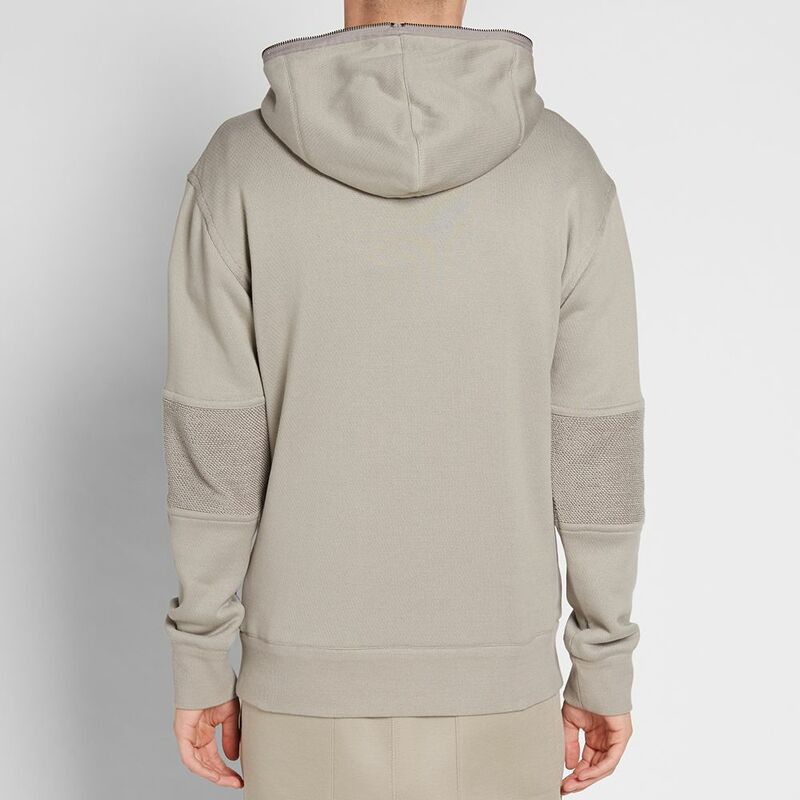 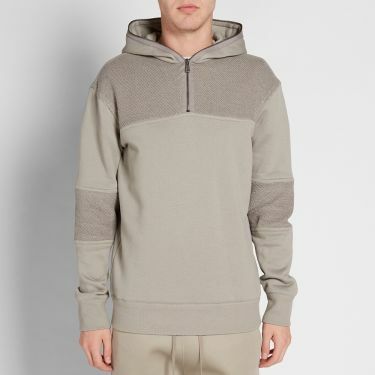 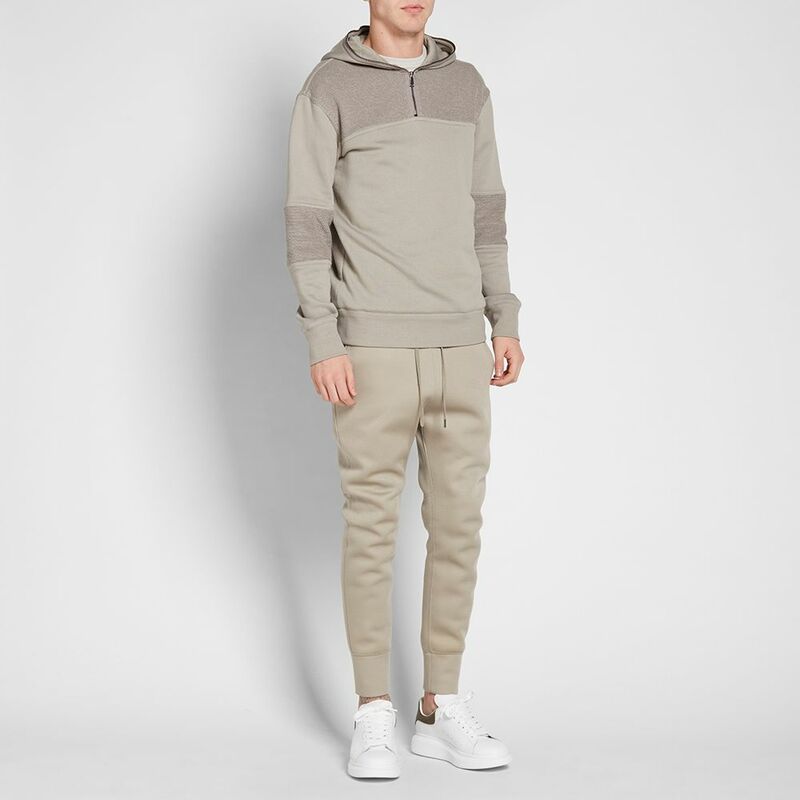 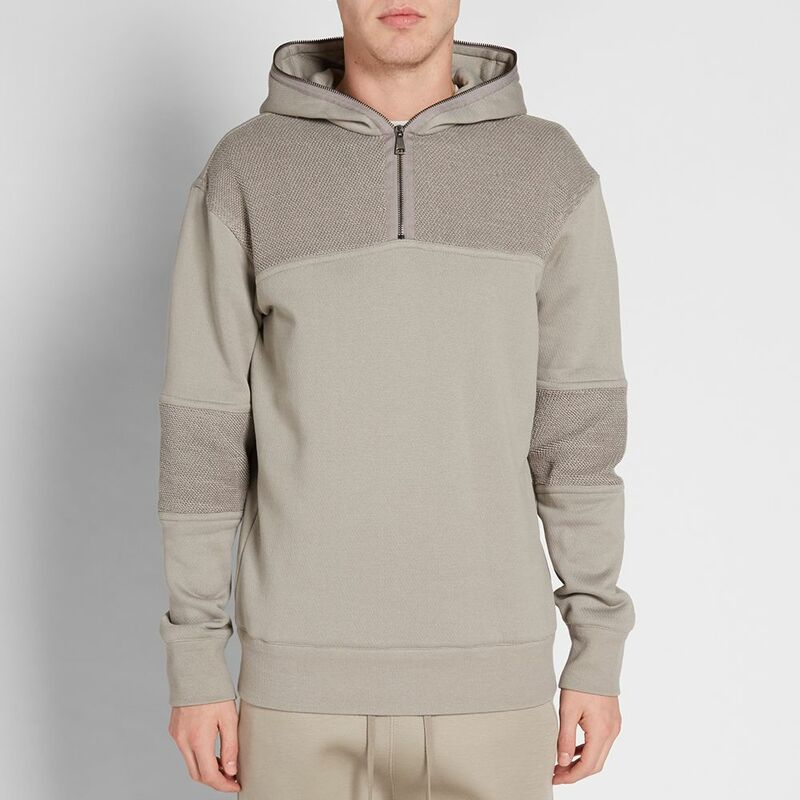 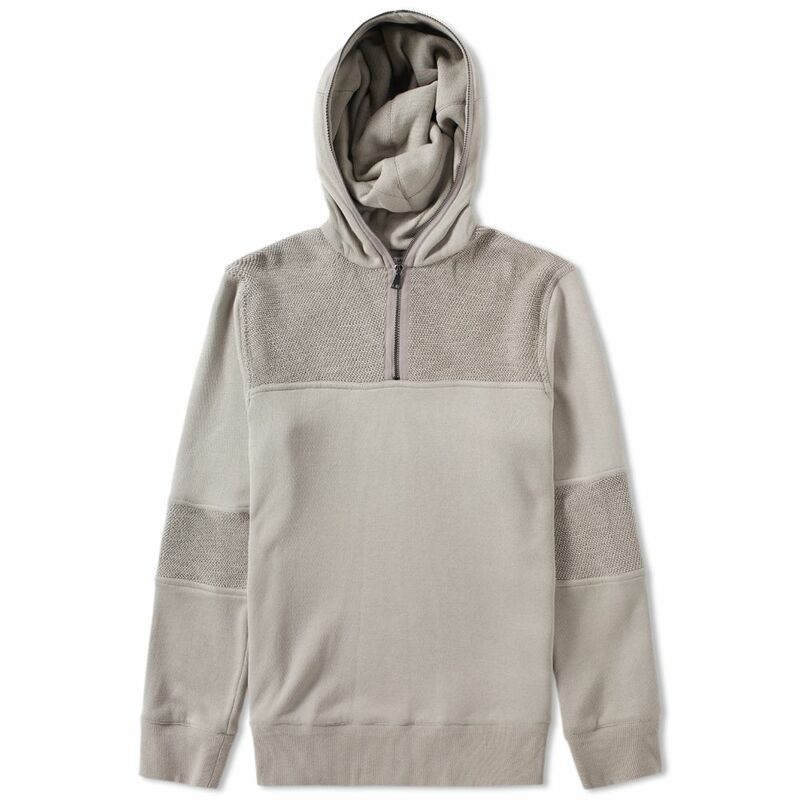 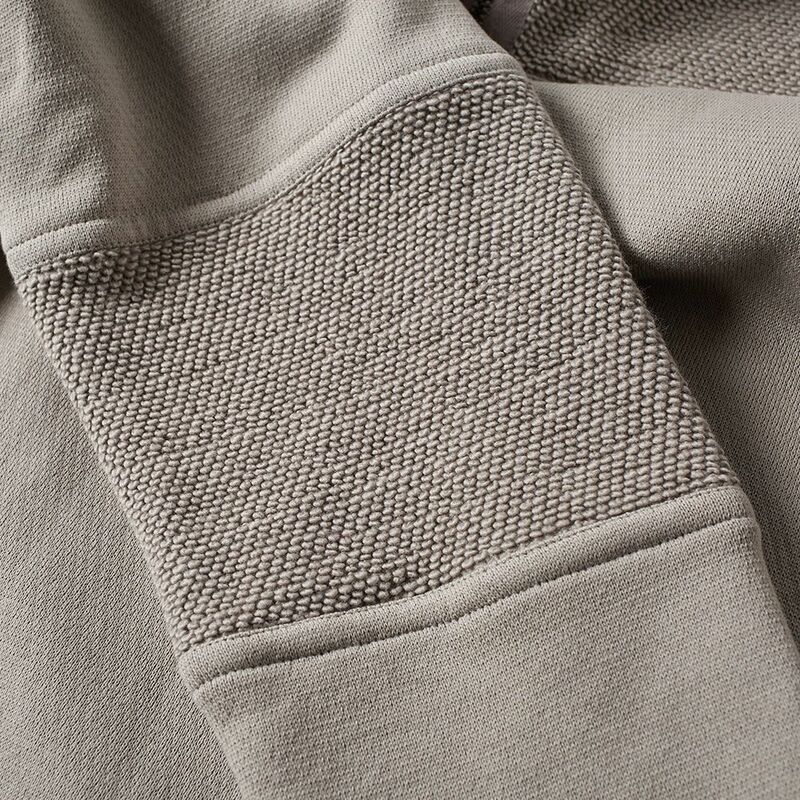 Typifying the brand’s approach to contemporary design, the Combo Pullover Hoody merges a variety of fabrics to achieve a distinctly luxe finish to a traditional athletic silhouette. 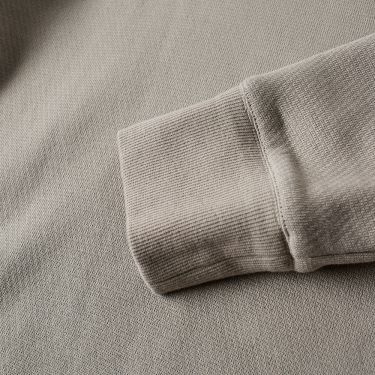 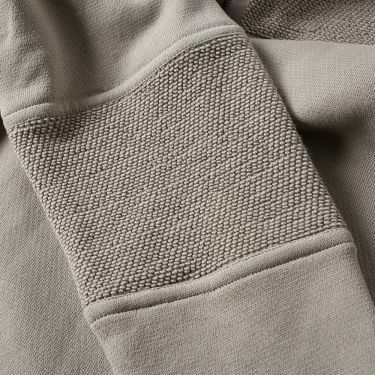 This re-engineering boasts sponge fleece construction with quilted leather detailing to the sleeves. 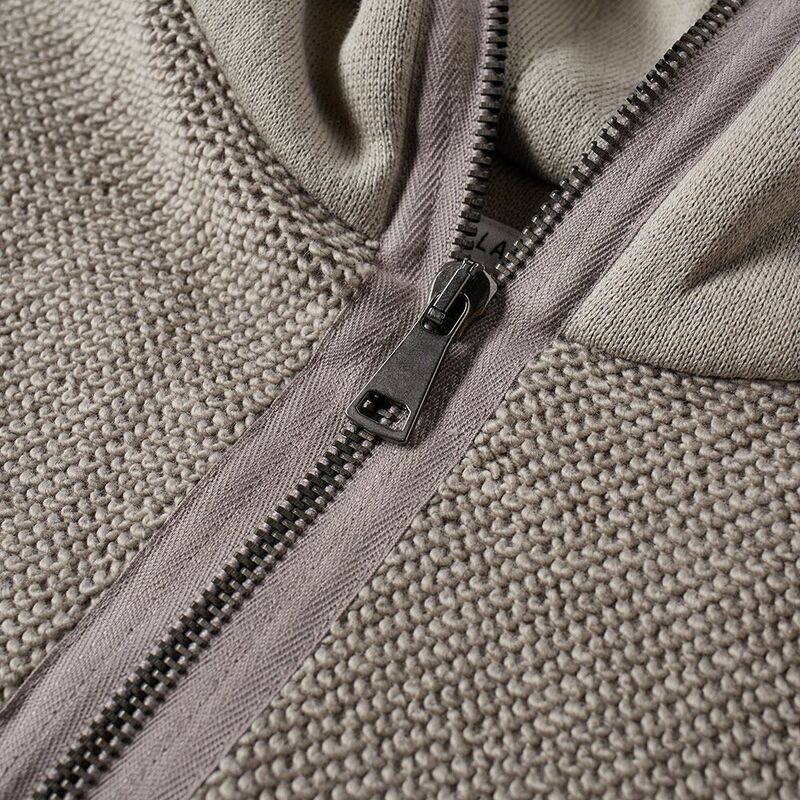 A pullover silhouette with unique drawcord-adjustable hood and a sleek take on a kangaroo pocket ensures this highly considered design is truly contemporary.